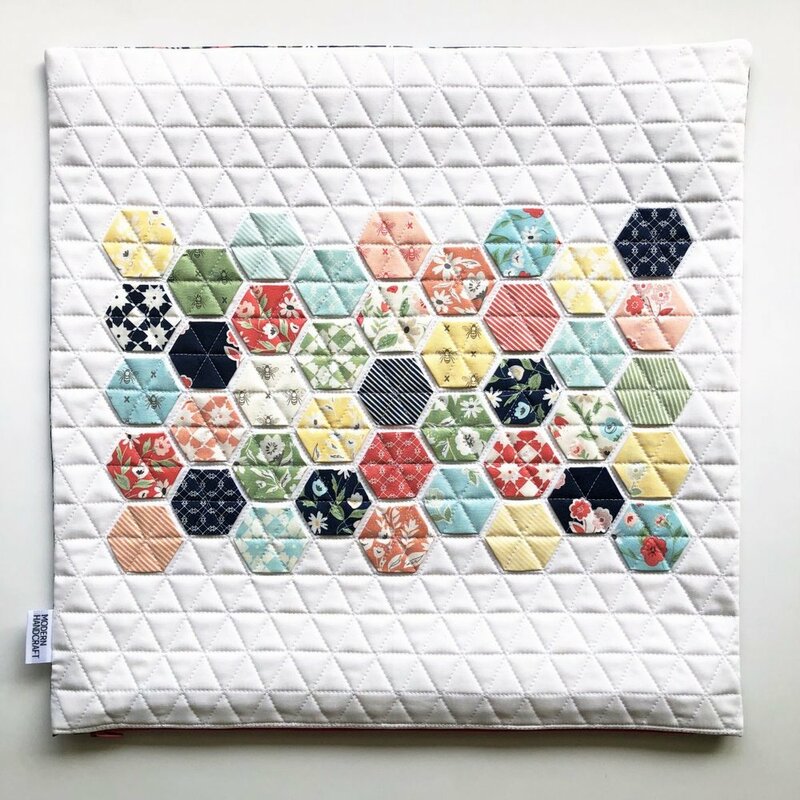 Hi friends, Today I am excited to share a bit of work that has been keeping me busy the past couple of months for this past Quilt Market - Hexie Pillows! United Notions - Moda Fabrics is now carrying my Modern Handcraft pattern line and to celebrate I created some of my Hexie Pillows using some of the new lines that will be available soon! Moda is well known for their fabrics and especially pre-cuts. The mini charm packs were my inspiration for the Hexie Pillow because of the number of 2.5" squares in one package - 42. 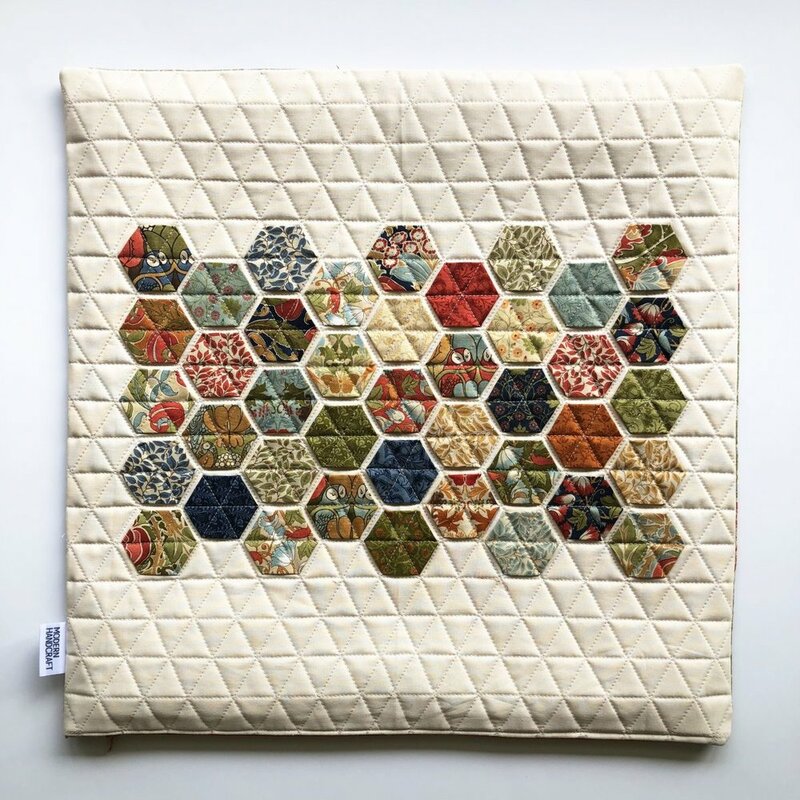 It only takes 41 squares sewn up into hexies to create your very own pillow! 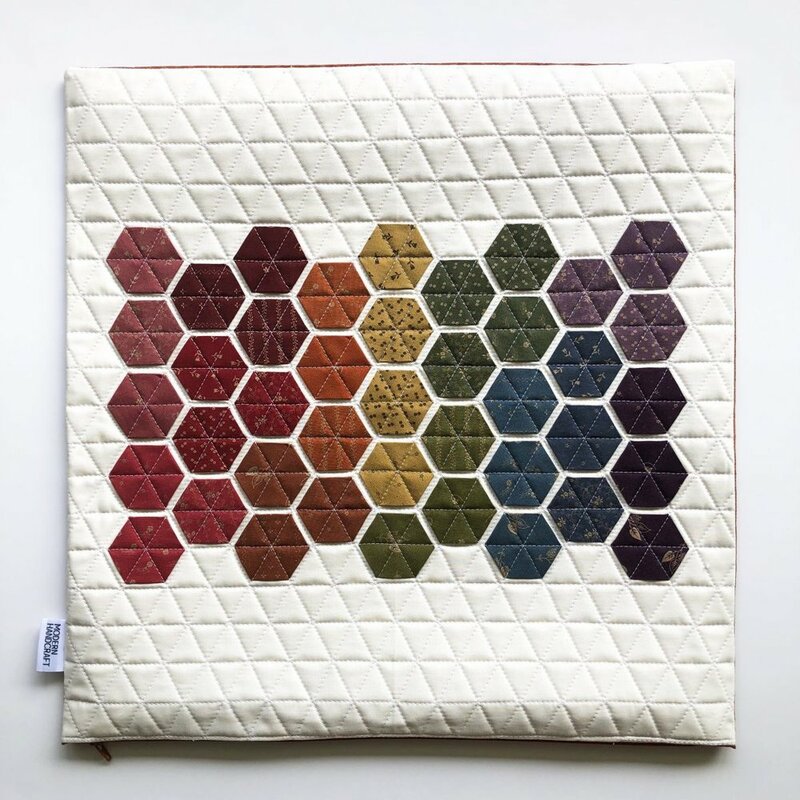 I love creating a hexie for each fabric in a fabric line so you can see how the fabric designer created a flow of color and pattern. Below is an image of each of the six pillows that I created. You can find a link to the fabric designer's info in case you want to keep your eyes peeled for that line when it releases. Drawing is now over - congrats to our winner Lauren Welsh! 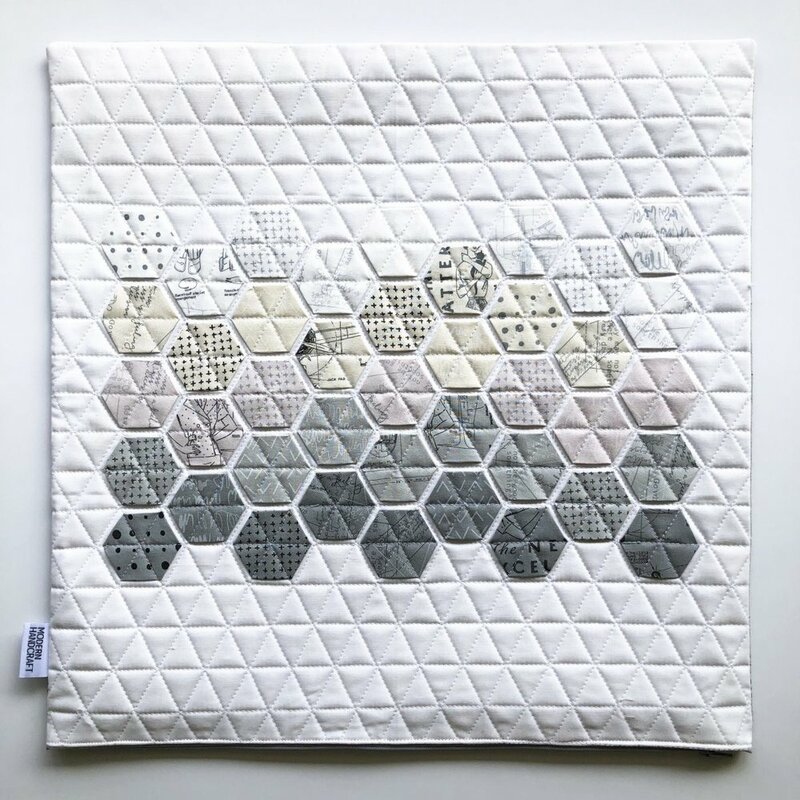 Be sure to comment below for your chance to win a huge stack of 10 - 5" charm squares featuring new lines yet to be released by Moda and a copy of my Hexie Pillow pattern! You must live in the United States (for shipping reasons) for this drawing. I will choose a name on Monday June 4th at 6pm eastern. I will also have a drawing for 12 - 2.5" mini charm packs and a copy of my Hexie Pillow pattern over on my Instagram page! Just look for @modernhandcraft and comment on that post for a chance to win that drawing as well. Thank you for stopping by today friends and I hope you enjoyed seeing some of my current projects! If you would like to make your very own Hexie Pillow today click here for a link to the PDF pattern.